When I first knew Tora and Wisha will go to the mountain, I was tempted to join and invite Aria participate. Although I do know mountain climbing is not something fun instantly. Need struggles and processes. My experience several times to walk away, I always cry in the middle of the road. Waerebo I was not able to cry because I was busy chatting with a local guide. But in Gili Lawa, Badui Dalam and forests in Aru, Aria had to persuade me to wait with the lure of destinations soon visible. Yes, I walked a couple of times with a duration of time long enough.in the dark. 8 hours approximately. So when I wanted to go to Papandayan feel brave enough to take the risk of a hike for 3 hours. Papandayan known as the mountain for beginner climbers, the track is not too hard, the forest is still nice to enjoy and have a wide field Edelweiss. We started journey around 2 am and arrived at 5 am on Garut. After going to the market and rest a while, at 9 am we started to go hiking. On the market I had stoned who was thrown by a madman that looks like a zombie. Absurd. Approximately 3.5-hour hike up and down and past the limestone plateau that smelled of sulfur, finally arrived at Pondok Selada, our camping spot. Because pitched tents require special skills, I could only watch while eating snack and warm mug beans in the kiosk. Yes, do not worry hungry stomach, many kiosk up there. Pssst.. for you are not confident of a hike but still want to go, there are motorcycle taxis that can deliver up to the tent area.HAHA! Alex (@amrazing), is one of the people who made us want to go to Papandayan, see the edelweiss and shooting stars. At night, the preparation is ready to take a star. We are looking for the right moment while waiting for dinner. Suddenly, i heard the sound of crutches crutches krusuk..gedubruuuk .. .. tent we entered into a boar and he could not get out of the tent. Confused and then tore the inside of the tent with fangs, once the tent was collapsed. Event 1 minute was enough to amaze me, boars destroying tents in a short time. I still did not believe that he knew that he was looking for was wheat biscuits that are already open. Whether he likes or a very sharp nose that can smell a biscuit from a distance. Between upset, wonder and laughter, we started cleaning up to move the tent. Once completed through all the drama boar, stars not seen covered with clouds. Slightly disappointed but still fortunately it did not rain. We decided to go to bed early in to see the sunrise, again when you wake up and go to the crater, the sun was not visible due to heavy clouds. Im not disappointment because traveling is not allowed expects, I cheerfully wanted to go out to find edelweiss . Saw the photos on the travel blog and tempted to run and greet the beautiful flowers. That plan went out to the field edelweis not very smoothly, was a stray one hour past the endless steep hill. Finally we decided to split up the group and find their own way and be successful. Previously passed road is hard enough and quite difficult to pass, fortunately, we can find another way. This the edelweiss field that I loved. i wanted a longer stay here but I still nervous if meet again boar. HAHA. I make a collection of songs that is good to hear while enjoying the edelweiss meadow, enjoy the mixtape. Music lovers pick London as their bucketlist. So did I, dreaming of London for exploring the various music was born on this city. On last September I got a chance to visit with the family for 6 days. 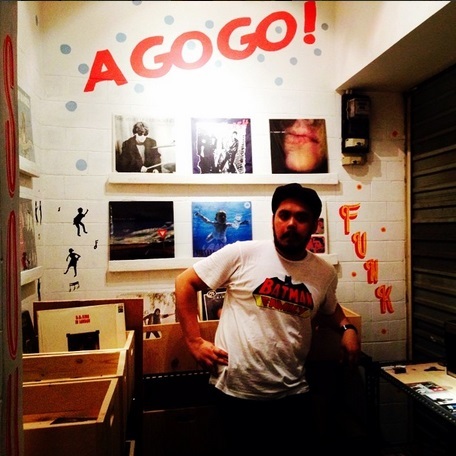 I use this opportunity to digging LPs, visited record store and enjoy the musical performance.Here are a few places that I visited with the shortest possible time. As usual I always go to the art market and flea market. Let’s start from Camden market. Quite interesting but too neat and touristic for me. But I can get older musicians LPs with low prices, 3 pounds, 2 pounds even if you are lucky. There are 3 record store quite a lot of choice but not quite complete. There is one special record store reggae music here. Provided free wifi for you who like digging while browsing discogs. LOL. Covent Garden market, also known as the art market. The artist sells his work here. Once satisfied to see that the market like this exhibition, we could relax in the food court area similar to the many choices of good food. Try Mushroom Burger from Shake n Shack. In the middle big mushroom they put mozarella . While enjoying the food you can watch a variety show performance of the brass section to the opera singer. A little out of its market area you can see at a record store that guards once pleasant and very helpfull; Fopp. This is the first record store I went to, a collection of its current musicians quite complete. One floor second floor mixed music and movie collection. Cheapest price compared to other record store. Side stream/hipster area is East London. There is a place; Shoreditch. They have Sister Ray record store, next Ace Hotel . Close from there you can find Bricklane. Fun place with a lot of option; Sunday Market, Vintage Market dan Rough Trade record store, one of old record store who have grassroot spirit for independent musician. On Bricklane. any also graffiti that can be found here; Banksy,Stik, ROA, D*Face and Ben Eine. This place is often used for shooting video clips “Glory Days” – Just Jack dan “All These Things That I’ve Done” – The Killers. Portobello Market, one of the most lovely market in London. Colorful, warm, market spilled filled with street performers, antiques and LPs is expensive, many rare releases and legend. But do not worry Rough Trade is open here as well, if you can not to East London, could be spending a physical release here. Berwick street, Soho.Initially we were here because my husbro want to take pictures set in Berwick street along LPs Oasis “Whats The Story Morning Glory”. And I was met with Reckless record , record store that has a collection of jazz releases overwhelming and it turns out they are orange shop in the Oasis album cover. After chatting with a Japanese man kind we left Tesla Manaf’s CD he listens. And not far from there is place to drink beer, a complete painting tools and Sister Ray Soho is famous as a first Sister Ray on London. Waaa .. everything is unexpected. This delightful area. Do not forget to stop by also to Sounds of The Universe, still in the same area. One of the most impressive from the street performer London is well-organized, those musicians who mostly sell releases, so we linger to see his performance. A small part singing, but still played with soulful. You have not been to London if you have not watched any of a variety of musical performance. The Book of Mormon, Lion King, Mamma Mia, Billy Elliot, The Phantom of the Opera, Les Miserables and Wicked. We chose Wicked because of love with the story Wicked Witch and OZ. It turned out that the price is still relatively affordable, 20 pounds. Not too far from the stage. If one wants to watch at close range can rent binoculars for 1 pound. Unfortunately we don’t have enough time for jazz bar, Abbey Road, Beatles museum, live music, Independent Label Market, where labels will be selling direct to fans, it’s in Spittalfields Market. Seharusnya tulisan ini dibuat setahun yang lalu saat saya melakukan ide gila dengan Aria, keliling Asia Tenggara satu bulan tanpa itinerary. Alhasil kita mengubek setiap kota tanpa terpatok harus pulang kapan. Seingat saya, dulu kami belum beli tiket pulang. Jadi sama sekali tanpa perencanaan. Destinasi yang dicari adalah segala hal yang berkaitan dengan musik, pertunjukan dan pasar-pasaran. Bangkok banyak banget pilihan pasar, kami fokus ke pasar antik, pasar anak muda dan pasar yang jual koleksi piringan hitam. Cak Tu Cak market, saking gedenya pasar Cak Tu Cak, kami gagal menemukan dimana letak penjual piringan hitam. Huft! Tapi cukup senang dan terhibur melihat pertunjukan musisi country dan arak-arakan perkusi. Selain banyak hal yang bisa dilihat, Cak Tu Cak bisa jadi pilihan utama untuk kamu yang suka belanja, makan enak sambil melihat pertunjukan jalanan. 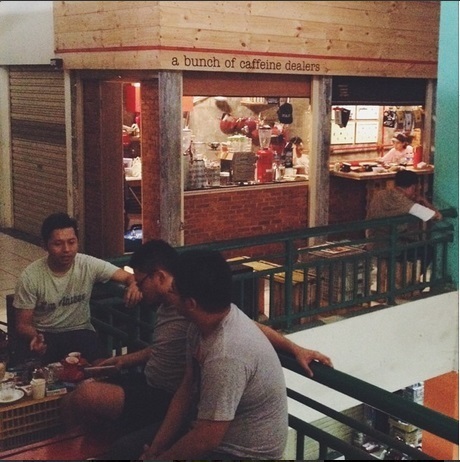 JJ Green Market, letaknya masih satu area dengan Cak Tu Cak. Kalau Cak Tu Cak pagi sampai jam 6 malam, kalau JJ Green Market dari jam 6 sampai malam. Kongkow sambil ngebir, jajan kuah yang unik-unik dan ngeliat barang-barang dari desainer lokal Bangkok mungkin lebih santai di sini. Tempatnya ga seramai Cak Tu Cak dan ga terlalu banyak pilihan. Ada satu toko piringan hitam tapi sayang harganya seperti di Indonesia. Ga bisa dibeli untuk dijual lagi. Tapi kalau mau beli untuk koleksi sendiri ya lumayan. Koleksi jazznya banyak pillihan dibandingkan dengan genre lain. Chinatown market, ini tempat favoritnya orang yang doyan street food. Mau makan aneka seafood, mie bebek, jus segar dengan harga superduper murah mesti kesini. Jangan lewatkan mencuci mulut pake duren Bangkok yang enak. 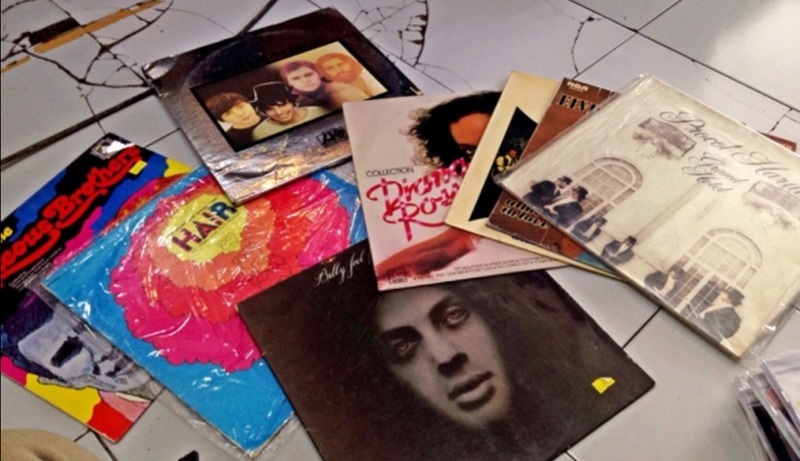 Di sini pula kamu bisa menemukan satu record store tua dengan koleksi musik-musik Thai yang eksotis. Karena keterbatasan bahasa, kamu harus tau dulu siapa musisi yang kamu cari. Di daerah Ratchadapisek, coba cari Fortune Tower buat dapetin DVD musik murah, ada yang asli yang bajakan juga banyak. Pinter milihnya aja. Piringan hitamnya ada yang harga miring tapi sedikit haha. Banyak audio yang bagus-bagus, turntable aneh-aneh. Cuci mata tapi ga terlalu ok kalau dari harga, masih lebih murah di Indonesia. Train Market, the name is Rot Fai Market. Is located on Srinakarin Soi 51, just behind Seacon Square Shopping Mall. Mending naik taksi aja dari Nut station biar ga bingung. Ini pasar antik terbaiknya Bangkok. Superbesar dan menyenangkan untuk diubek. Tiap toko didesain kayak rumah yang nyaman dan barang-barang di dalamnya bisa dibeli. Untuk pecinta rilisan fisik lokal dan kekinian, wajib mengunjungi Bangkok Art Culture. Cari record label Bangkok yang merilis musisi indie yang musiknya bagus, berkarakter dan beragam macam; Small Room record, Parinam record dan Colorcode. Menutup musical trip di Bangkok dengan menonton pertunjukan lady boy yang ciamik di Aquatique mall. Sebenarnya waktu saya untuk menjelajah Bangkok tidak cukup, walau masih sempat main ke record label, Smallroom, saya melewatkan menjelajah record store lokal anak muda, Recoroom di daerah Ekkamai. Next, pasti akan berkunjung. Buat teman-teman yang punya rekomendasi tempat seru di Bangkok yang ada hubungannya sama musik boleh tulis di kolom komentar yah. Selintas ia tidak bisa menyembunyikan logat Sunda Bandungnya yang kental dan rupanya yang ramah menyapa kami. Ia memperkenalkan dirinya dengan nama Pak Dede dan memang benar ia perantauan Bandung yang sudah cukup lama tinggal di Bali. Setelah menanyakan selera musik kami, pak Dede pun memperlihatkan koleksinya yang sangat menarik, aneka rock jadul sampai masa kini, baik itu art rock, glam rock, progressive rock dan slow rock. Kami sangat senang ketika perburuan ini tidak terlalu mengocek dompet. Pervinyl di box depan toko dari 100 ribu sampai dengan 250 ribu. Lain lagi dengan box tersembunyi di belakang tempat banyak harta-harta bersemayam, harga cukup beragam dan perlu merogoh kocek lebih dalam. Untungnya kami sudah cukup puas dengan hasil perburuan di awal. Pak Dede sendiri menjadi seseorang yang cukup berperan mempengaruhi skena musik anak muda di Bali. Berbagai musik dari berbagai era ia copy ke bentuk CD maupun DVD show, barang-barang langka yang aksesnya terbatas. Dengan riang ia menceritakan kecintaannya terhadap musik rock dan rencana terdekat dia menonton idolanya, Jethro Tull. 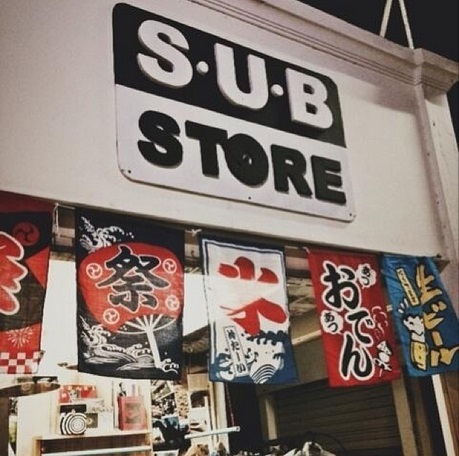 Tidak lupa kami mengajaknya untuk berkunjung ke Substore saat ke Jakarta. Banyak cerita-cerita menarik lainnya yang Pak Dede utarakan saat kami bertandang ke Bali Gong. Menyenangkan sekali berkunjung ke toko musik serba ada ini. Tempatnya pun mudah ditemui, sesederhana mengetik “Bali Gong”, aplikasi peta kesayangan akan mengantarkanmu kemari. Album Aku Tetap Cinta ~ Utha Likumahuwa, 1986. Arranger: Bagoes AA, Erwin Gutawa, Jockie S.
Teh madu berteman kayu manis bersama senandung cantik Titik Puspa di album Puspa Dewi. Titik Puspa begitu tenar dan menjulang dalam waktu yang singkat karena gaya menyanyinya yang istimewa dan ekspresif. Pada pertengahan tahun 60, Titik Puspa menjadi penyanyi tetap pada Orkes Studio Jakarta. Bimbingan yang didapat dari suaminya Zainal Ardi, penyiar RRI dan juga petunjuk-petunjuk dari Iskandar, pemimpin orkes, pencipta dan penggubah lagi yang termashyur kala itu. Perlawatannya bersama misi kesenian Indonesia ke negara persekutuan Melayu sukses membawanya pada puncak karir. Di album ini aransemen segar dari Mus Mualim, Bing Slamet dan Iskandar memberi efek warna warni pada lagunya. Riang ceria, perih getir, kadang manis. Record Store Day tahun ini, saya, suami dan kakak suami yang tinggal di Tokyo menggenapkan niat untuk memulai sebuah usaha, toko kecil di pasar Santa, Kebayoran Baru, Jakarta Selatan bernama Substore. Awalnya kami bermaksud untuk berjualan barang-barang yang kami suka, barang bekas yang terkurasi dan rilisan fisik musik. Ada piringan hitam (used item), barang-barang Sight from The East, buku fotografi, kaset (used item), cd (used item) dan baju band (used item). Terkadang ada musisi yang menitipkan karyanya serta merchandise untuk titip jual. Dengan ukuran sekitar 2×2 meter kami harus mengatur dengan cerdas bagaimana barang-barang tersebut terlihat rapi dan menarik. Akhirnya dengan bantuan Andromedha Pradana, Substore yang super imut ini bisa cukup dengan berbagai jenis barang. 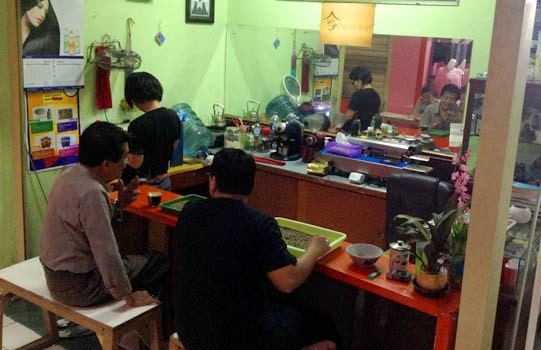 Hanya ditemani oleh kedai kopi (A Bunch Of Caffeine Dealer) yang sewaktu-waktu buka bila ada barista yang hendak kompetisi, kami bahagia sekali mempunyai toko kecil ini. ABCD sendiri kurang lebih sudah setahun buka di sana. Di lantai bawah ada kedai kopi yang sudah cukup lama di pasar Santa, ia lumayan tenar, Dapoer Kopi (spesialis kopi Sapan dan Yale, Toraja). Itu tidak menjadi alasan kami untuk ciut nyali. Seminggu 3 kali saja kami buka waktu itu dan sendirian rasanya kurang enak. Selalu kami sempatkan untuk mengirim pesan agar kedai kopi pun buka dan pasar tidak terlalu sepi. Kami ditemani oleh barista-barista yang sedang latihan untuk kompetisi saat itu. Saya mencoba membujuk mereka untuk iseng buka kedai kopi sesuai dengan waktu buka Substore. Kala itu masih Selasa, Sabtu dan Minggu. Namun akhirnya cita-cita ABCD untuk menjadi sekolah barista terwujud di bulan ketiga kami buka, saat itu kami tidak hanya berdua, sebuah record store baru saja buka di sebrang, Laidback Blues Store. Sebenarnya sebelum kehadiran Substore, di pasar Santa lantai atas ada pula kedai roasting Orkide yang buka saat ia hendak meroasting saja. Lalu kami, Laidback Blues, ABCD dan Substore kerap berbincang, mengkhayal lalu mengajak teman-teman kami untuk datang. Siapa tau ada keinginan mereka untuk membuka kios di sini. Tanpa terasa 4 bulan sejak kami buka, kios di pasar Santa sudah banyak yang menyewa dan kebanyakan mereka bukan orang asing. Mereka adalah teman-teman yang seringkali datang di acara pop up ABCD, restock Substore atau sekedar nongkrong di Laidback. 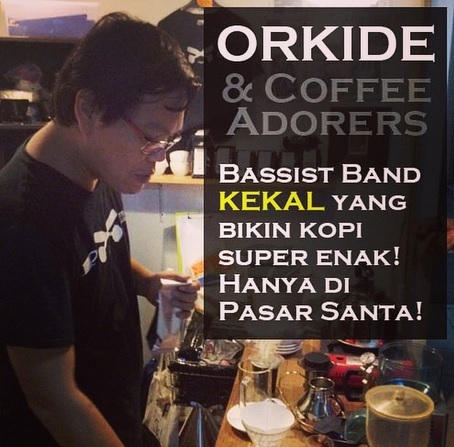 Kini pasar Santa sudah menjadi destinasi penyuka kopi, makanan enak dan musik bagus. Dikarenakan keberadaannya berada di pasar konvensional tidaklah mengherankan harga makanan dan barang-barangnya pun relatif terjangkau. Walau di luar sana beredar opini pasar Santa kini dikenal sebagai pasar hipster, para pemilik kedai di pasar Santa hanya menanggapinya dengan santai dan tertawa. Lahan ekonomi kreatif yang mandiri pasti akan memancing komentar pro dan kontra, bagaimanapun satu hal yang membahagiakan bagi kami, Pasar Santa lantai atas bisa hidup lagi setelah 7 tahun mati segan hidup tak mau dan semangat saling mendukung rekan-rekan kreatif terasa sekali di sini. 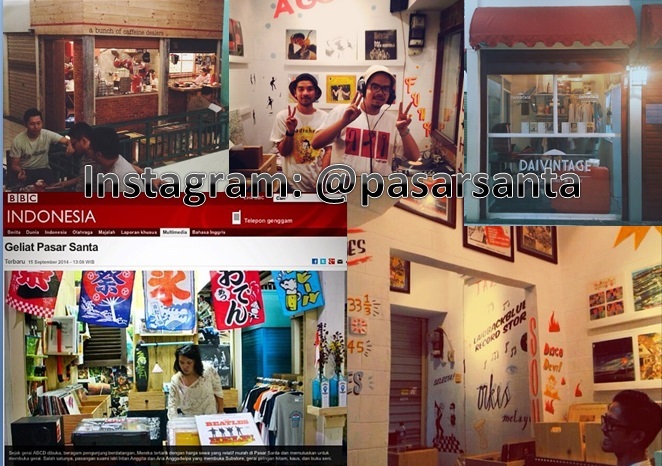 Untuk melihat keseruan pasar Santa, bisa diintip Instagramnya di @pasarsanta atau cek hastag #pasarsanta #anakpasar dan #ngopidipasar. This song has been featured on the movie soundtrack of The Girl Next Door by Fantastic Plastic Machine. Fantastic Plastic Machine its solo project by Tomoyuki Tanaka, electronic music artist. He is considered to be part of the Shibuya-Kei movement (Japanese pop music which originated in the Shibuya district of Tokyo. A mix between jazz, pop and synthpop). If you remember about Margarine Strikes Back, Tanaka played as the bassist. Then his bestfriend, Towa Tei convinced Tanaka to go back to recording music and Fantastic Plastic Machine born in 1997 under the Readymade Records label in Japan (a Columbia Music Entertainment sub label). The album were distributed in the US and Europe. His awesome song, Reaching for The Star had collaboration with British Acid Jazz, Incognito. This album (released in 2003) full of suprised, include French singer Coralie Clement and voice actor Ward E. Sexton. Dentingan gitar di lagu pertama album Imperfectly Perfect ini amat mengganggu saya. Denting gitarnya menyayat hati dengan suara empuk yang membuat saya kembali lagi ke track ini berulang-ulang hingga lupa memajukan remote cd player menuju track selanjutnya. Lagu Always Back To You dinyanyikan dengan penuh penghayatan seakan kita memang masuk ke dalam alur lirik yang diciptakan oleh Fraya. Ada 6 lagu yang disajikan di album ini. Saya amat sangat merekomendasikan untuk membeli CD ini, selain karena kemasannya yang menarik, aransemen lagunya pun apik, disajikan dengan gaya akustik sederhana. Di lagu selanjutnya, suara cajon yang cukup dominan diwarnai alunan harmonika membuat laguTwenty Two kaya rasa. Dan jangan terkejut dengan sahutan gitar elektrik yang malah muncul hampir di akhir lagu. Track ketiga suara Risky Summerbee agak sedikit canggung. Saya membayangkan di lagu Amberini, Risky adalah pria yang malu-malu ikut bernyanyi bersama Fraya. Menggoda Fraya dengan kesan kikuk yang mungkin sengaja dibangun. Entahlah. (maaf yo mas Risky kamu kurang gahar di sini hehehheh). Saya tidak bosan untuk melanjutkan perjalanan mendengarkan album ini, masih ada dua lagu lagi. Ajaibnya tiap lagu mempunyai nyawa yang berbeda dengan lagu-lagu lainnya. Saya mulai menebak-nebak, dari komposisi yang dibuat Fraya, tampaknya Fraya memiliki banyak referensi dan sekolah musik. Ya ini sekedar tebakan saya saja. Promise of Tomorrow, merupakan lagu harapan yang bisa dibawakan dengan tampilan yang berbeda, tidak ada kesan mendayu di lagu ini. Sekilas Fraya mengenalkan dirinya sebagai singer songwriter yang memiliki kekuatan karakter dan patut diperhitungkan. Hatred bukan lagu akustik manis, Fraya bertransformasi menjadi penyanyi pop balada dengan kekuatan aransemen pada gitar berpadu ketukan drum. Saya sedikit kecewa dengan lagu ini ada di tengah-tengah album. Alur keseluruhannya serasa tidak berbaur karena pemilihan lagu terakhirnya yang kembali lagi pada nuansa lembut. Mungkin Hatred lebih cocok di simpan di track terakhir. Lagi-lagi itu hanya penafsiran saya pribadi. Apalah artinya dibanding satu album sajian seorang musisi wanita berbakat yang keseluruhan kemasannya patut diacungi jempol. 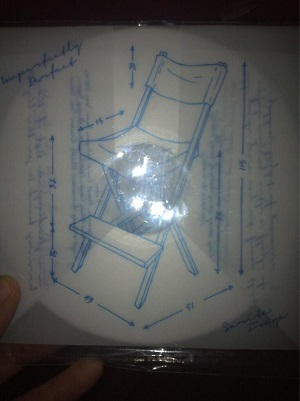 Perjalanan saya di album Imperfectly Perfect diakhiri dengan sebuah lagu indah dibalut suara synthyang gurih. Terimakasih Fraya sudah membuat album ini. Terimakasih Wok The Rock sudah membuat desain dan ilustrasi cover yang amat keren. Terimakasih mas Gufi sudah mengantarkan album ini ke De Majors dan terimakasih De Majors yang sudah mengenalkan saya pada album ini.